925 Silver RAINBOW MOONSTONE Cabochon Fashionable ADJUSTABLE Bracelet 7 7/8"
Black Diamonds are of Carbonado variety. Carbonado, commonly known as the "Black Diamond", is the toughest form of natural diamond. It is found primarily in alluvial deposits in the Central Africa Republic and in Brazil Its natural color is Black or dark Grey, and it is more porous than other diamonds. 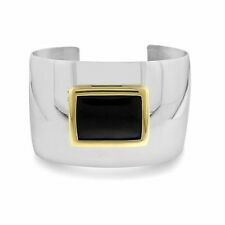 The bracelet is made of solid Sterling Silver. 925 with a layer of 18k yellow gold; the clasp is push lock style with a safety latch. Style Tennis. Fancy Diamond Color Not Applicable. Secondary Stone Diamond. The bracelet is strung on very strong elastic cord. The amber is natural and untreated. The amber is of a long extinct species of tree and is probably about 25 million years old. 14K YELLOW WHITE ROSE TRICOLOR GOLD HAWAIIAN PLUMERIA FLOWER BRACELET 7MM 7"
Flower size: 7mm (approx. Stamp: 14k. Style Tennis. Get Supersized Images & Free Image Hosting. ). An oval linked bracelet connected by round balls. Type of Link : Ring & Connector. Catch : Trigger. Width of Link : 5.0mm. Reference : 48464. Metal: Yellow GoldStyle: BangleBrand: Tiffany & Co.
Gemstone : Genuine Moonstone Bracelet. Weight : 109 Carats. -- More About The bracelet--. Note . Metal: Sterling SilverStyle: ChainBrand: Tiffany & Co. Type of Link : Curved Bars & Rings. Catch : Lobster. 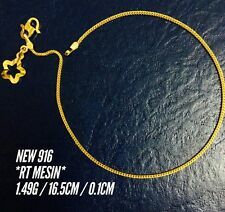 Width of Link : 6.9mm. Reference : 49342. 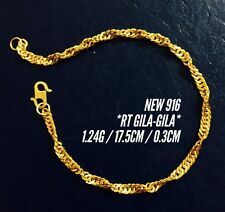 14K Solid gold not gold plated not gold filled but real 14k gold. Lobster lock for comfort and security. Great for gifts too! Style chain. LENGTH: 10" long. We would like to introduce ourselves as a direct source of hand made 925 sterling silver jewelry. We specialize in hand made setting of high graded roughs/stones to make them jewelry masterpieces. Primary Stone: turquoise. A lovely bangle set with evenly spaced out round sparkly diamonds. 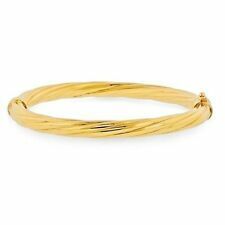 Width of Bangle : 4.0mm. made with love by. I find it important to first note that I am not a jeweler. I am never out to mislead anyone. It’s unlikely, but not impossible. They were secure when I photographed them, unless otherwise noted, but I will not promise they will remain that way. Given to me as a gift last month. Used only for few weeks. Replaced new cord yesterday Can change cord as much as you like through Customer Service Centre. Will include extra raspberry silk cord, authenticity card, box and shopping bag. Pls check other listings. From United KingdomMetal: Sterling SilverStyle: ChainBrand: Tiffany & Co.
14K Solid Gold Properly Stamped & Marked ( Not Gold Plated or Gold Filled ). Lobster Clasp lock for comfort and security. Style Link. Wear the right length. A necklace that falls just below the collarbone goes better with a plunging neckline than a high one. A necklace that falls below the bust goes with a high neckline. Chokers look great with strapless dresses. This bracelet is in very good used condition and is made Sterling Silver 925 and is hallmarked 'Tiffany&Co 925' on the back of the toggle clasp. Chance to own a Tiffany & Co. Sterling Silver Toggle Bracelet. Style: ChainBrand: Tiffany & Co. Chance to own a Tiffany & Co. 18 Carat Gold / Sterling Silver 925 - Heart and Arrow bracelet. 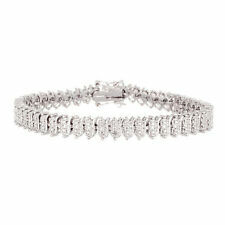 This is a colleactors piece worthy for all Tiffany & Co. fans and the bracelet weighs 43g. 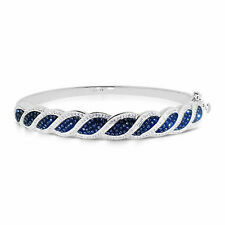 This is originally manufactured by Tiffany & Co.
925 SILVER BRACELET. Silver bracelet (925 ‰). FILIGREE OVAL BRACELET IN 925 SILVER WITH ROSE QUARTZ. Silver bracelet (925 ‰) with pink quartz. 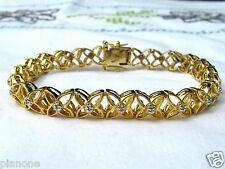 Presenting an exceptional 375 9ct solid gold fancy link bracelet with heart shaped padlock clasp and safety chain. EXQUISITE 9CT GOLD HEART PADLOCK BRACELET. This bracelet is affixed with a heart shaped 9ct gold padlock, with a cutaway keyhole to the front. We would like to introduce ourselves as a direct source of hand made 925 sterling silver jewelry. We specialize in hand made setting of high graded roughs/stones to make them jewelry masterpieces. Color: BLISTER. We would like to introduce ourselves as a direct source of hand made 925 sterling silver jewelry. We specialize in hand made setting of high graded roughs/stones to make them jewelry masterpieces. Primary Stone: PEARL.